Our product range includes a wide range of hammer diamond tools, hpht polished diamond and hammer pin tools. Diamond HammerAs per the changed desires of our valuable patrons, we are highly into presenting quality assured Diamond Hammer. With an experience of 20 years, we have been able to manufacture, supply and exporter a wide variety of Diamond Tool. These products include Diamond Dull Pin, Posalux Diamond Tool, Hammer Tool and Fly Cutting Diamond Tool. 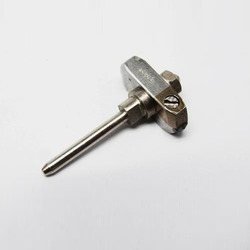 In addition to this, we also offer Mini Chain Cutting Tool, Lathe Cutting Tools and CNC tool. These tools are widely appreciated for the features like dimensional accuracy, precision-engineered, longer service life and compact design. All of these products are manufactured using high quality material procured from reliable vendors. 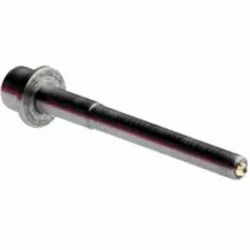 With the help of our experienced team of professionals, we are able to offer a wide range of hammering pin for compression machines that is designed and constructed at par with the prevailing industry standards. These dimensionally accurate and precision engineered machines widely find applications in manufacturing machines, Compression Machines and the finishing of diamond.Note : - We also provide customized tools as per customers requirment.